Supporting Success for Children with Hearing Loss Presentations are provided by Karen Anderson. 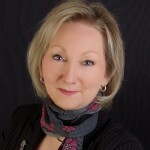 Karen Anderson PhD has worked in clinical, public school and state-level (EHDI) settings and currently is Director of Supporting Success for Children with Hearing Loss. Dr. Anderson is a past president of the Educational Audiology Association, has received national recognition awards in educational audiology, speaks nationally and internationally and served as an adjunct professor at University of South Florida. She is the author or co-author of many practical checklists, such as the SIFTER, LIFE-R, and CHILD and co-author of the book Building Skills for School Success in the Fast-Paced Classroom, Documenting Skills for Success, Building Skills for Independence in the Classroom, and Steps To Assessment: A Guide to Identifying Educational Needs in Students with Hearing Loss and author of a variety of other publications, including co-author of the e-magazine Teacher Tools. She is constantly adding information to the Supporting Success website.